We have served the Marlborough region for over 15 Years now and we still love it. Once you have experienced our integrity and expertise in Plumbing, Heating and Solar you will be glad you didn’t call an ordinary plumber. ”Our main philosophy is that we are there to help and we will not sell you something that you don’t need!” And any enquiries are treated impartially, not sales driven. We are the “good guys” who are committed to seeing a job done right and a very happy customer. Maybe this why a lion’s share of work comes from repeat clients and recommendations. We are a member of the Master Plumbers, with all our staff being fully licensed by PGDB. All work carried out is covered by the Master Plumbers Guarantee. Rob is the owner of Marlborough Plumbing & Heating Ltd and has been plumbing in Marlborough for over 15 years. 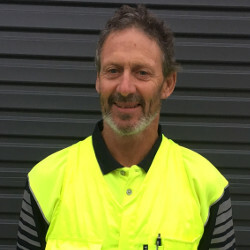 He trained in North Canterbury and holds his Certifying licence in Plumbing. Rob has been installing plumbing and heating systems for over 25 years and has a huge knowledge of what is possible and what actually works. 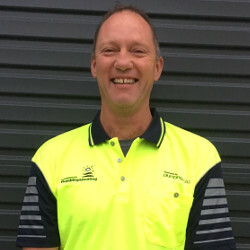 When he first came to Marlborough in 2000 he ended up starting his plumbing business and called it “Running Plumbing”. Then he realised there was a requirement for a proficient heating installer, so headed the business in that direction and rebranded. His hobbies include being a dad, fishing, boating, woodwork, plumbing, reading and travel. Paul has been with us for over 10 years. Originally from Wellington, he is another Certifying Plumber and Drainlayer that has the eye for detail and the ability to make all your pipe work look like a piece of art (shame it’s going to be hidden behind a wall!). Paul is a proud dad of four, a true family man who knows how to have fun. Interests include playing football, coaching football, supporting football and of course family and friends. Mike Kendrick has been with us for over 4 years and in that time has married the beautiful Nicky and become a first time dad. Mike is quick and efficient in all his plumbing work, a man driven with enthusiasm for anything he takes on. He has a great awareness of how important your time is and likes to get the job done properly and quickly. Super cheerful, you'll always find Mike with a smile on his face and a great positive vibe. Mikes hobbies include Water-skiing, snowboarding, paintball and basketball. The newest member of the team, our friendly Englishman has been with us since Feb 2018. Originally from Cheshire, Josh is loving his new home in Marlborough and is embracing the kiwi lifestyle with relish! Josh is a Registered Plumber working his way toward Certification. With 10 years previous experience in plumbing and heating he is quickly learning the small differences and greatly enjoying the changes in his daily work here in NZ, such as working in the beautiful Sounds! His interests include mountain biking, sailing, walking (and is looking forward to trying his hand at skiing and snowboarding) and generally enjoying the great outdoors and everything New Zealand has to offer with his lovely fiancee Laura. Dane is our apprentice plumber and has been with us for 18 months. He is working hard towards his qualifications and is a welcome asset to the team. Dane currently lives at home with his parents and sister. Danes hobbies include socializing and hunting which he does most weekends if he can. Sue aka the person who must be obeyed! Sue is the pleasant voice that answers the phone and proficiently runs the office. She enjoys the warmer climate in beautiful Marlborough after spending a decade down in Queenstown. Sues interests include Fishing, gardening, reading and a good Bordeaux.